One of the most outstanding members of the supercars club in Miami luxury car rental’s garage, the Lamborghini, is releasing the improved Gallardo, that is, the Lamborghini Huracán LP 610-4. The Gallardo itself has long-served the customers with qualified loyalty for 10 years. 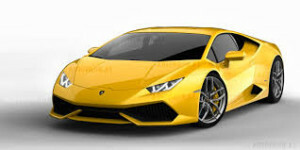 Now, it is even more perfected with the release of the Huracán, the new V10 supercar of the family of Lambo. The sleek design of the Lamborghini Huracan sure is a subtly pleasant view. The effortless slanted back and front part of the car suits the overall design that is meant for simplicity and purity. The Huracán is not fully styled for the sophistication of a sports car, but still, this so-called “baby” Lambo (which is actually not a baby-size at all) is suitable for a luxury drive. Its simplicity is reflected in the exterior mechanism. Compared with its more futuristic (read: expensive) brother, that is the Aventador, the Huracán is way more down-to-earth. Compare the doors. Rather than opening up, it opens just like normal cars do. Maybe that’s the reason the Huracán is less pricey than the Aventador by half. Just saying. The 610 horse powered Lamborghini Huracán is able to reach a top speed of 202 miles per hour. It also has a 3.2 seconds acceleration in reaching a speed of 62 mph. Since Lambos are famous for their unbeatable speed, this humble type of Lambo still manages to get its best on the road. Compare it with the Ferrari 458 Italia, and you still get a fast Lambo with a look of simple elegance. The breaks work just fine, with a stopping distance of 144 feet from 70 mph to a complete stop. The Miamy luxury car rental team assures you of its safety. Simplicity sometimes hides superb qualities. This Huracán might not look like one of the most stylistic supercars out there, but it is indeed a potentially adventurous baby of the Lambo family.